Vaginismus Treatment London - Call vaginismus expert Cara Ostryn today! To book a free consultation, phone me on 07740 781 573. If I’m with a client, you can leave a confidential message on my answerphone and I will return your call as soon as possible. Skype sessions are available for people who are further afield. Skype sessions are available for people who are unable to reach my clinic. This means you can overcome vaginismus wherever you are in the world! 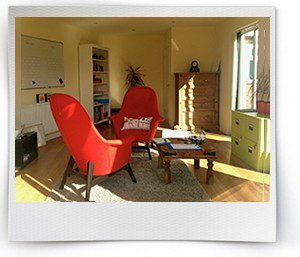 Based in a lovely bright and airy room in Central Rickmansworth. The entrance is via a door to the side of the building. 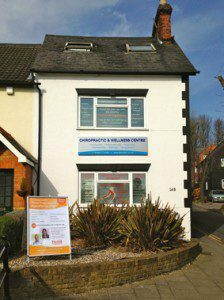 The Clinic is just a few minutes walk from Rickmansworth Station. Parking is directly opposite in Marks and Spencers car park (One hour is free, up to two hours is £1. Parking machines accept payment by car only, no cash payments). 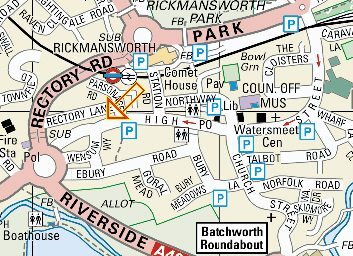 Rickmansworth is on the Metropolitan line (Chesham and Amersham branch) and takes approx 35 mins from Baker Street. Marylebone Station to Rickmanworth on Chiltern Railways is only a 22 minute journey. Directions by road – the practice is just a five minute drive from the top of the A41. I offer a free 40 minute consultation to find out more about you and explain how Thrive can benefit you. This can on the phone, over Skype or face to face in one of my offices. Access to our revolutionary online assessments which provide essential insight into your beliefs and thinking. If you would struggle to pay the full amount in one lump sum, payment options are available for those who would like to pay in two separate instalments. Payment can be made by bank transfer or cash. Please provide at least 24 hours notice should you wish to change or cancel your appointment. The full appointment fee is charged for missed appointments, or for cancellations less than 24 hours prior to the appointment.